Component for foobar2000 v1.3 and newer. 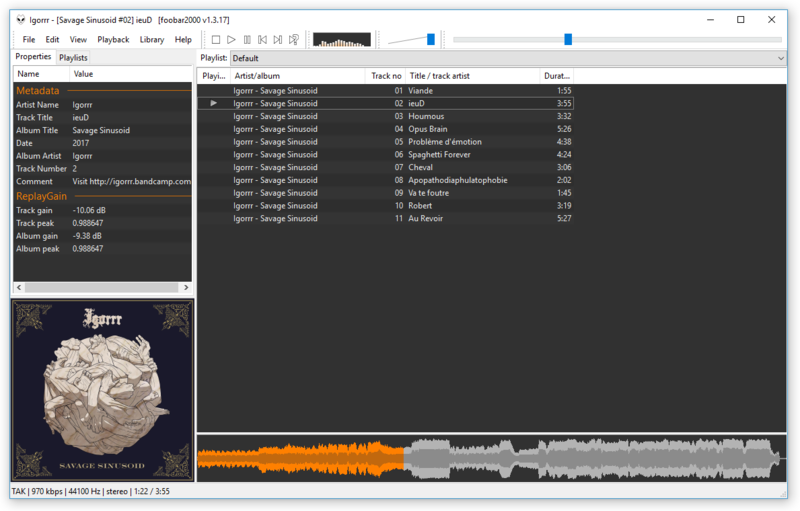 foobar2000 v1.4 version available here. ﻿Seekbar that shows the waveform of the track. Lighter, fully software implemented version of the original Waveform Seekbar. Heavily based on zao's excellent Minibar component. Scanned waveforms for tracks in media library are stored in minibar.db inside the foobar2000 profile directory. Waveforms for tracks outside media library are only cached temporarily in memory. 1.0.5 (2018-01-06): Fixed a situation where database was loaded too late and the first track after player start was rescanned unnecessarily.